Tanjore paintings are characterized by vivid, flat and rich colors. Furthermore, their simple iconic composition, glittering gold foils overlaid on delicate but extensive gesso work add wonders to the main content of the painting. 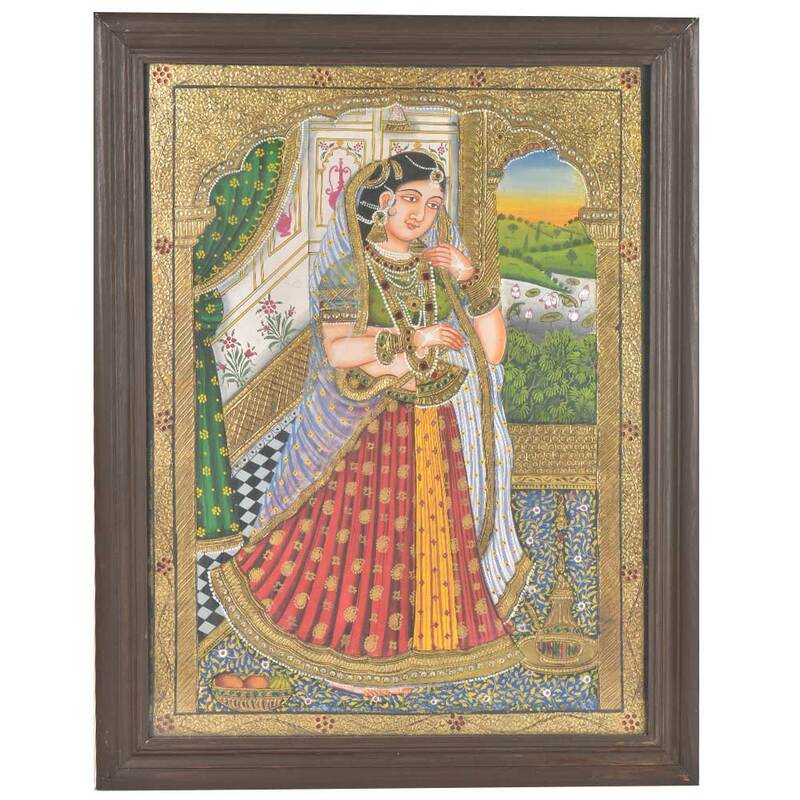 A wonderful wall art decor and a gifting option as well.